Comfortable Bean Bag Chair: Do They Exist? 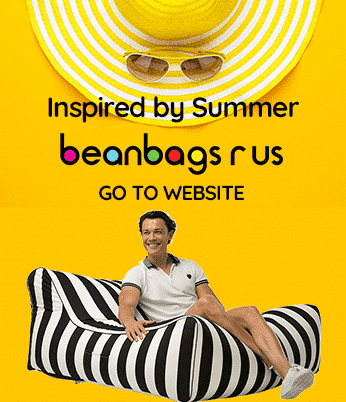 Bean Bags R Us NewsBean Bag ChairsComfortable Bean Bag Chairs: Do They Exist? Bean bags must be one of the biggest desires for every kid aged 5-15. If you went to your friend’s house and they had bean bags in their basement, you knew that they were cool. But do comfortable bean bags exist? Or are they just a thing kids want that no one else wants to use? The short answer? Yes, comfortable bean bag chairs do exist. But for maximum comfort, you have to know what kind to get. The good news is, we know which bean bags are the most comfortable. You’ll be able to lounge in these chairs for hours; it will be hard to get yourself out of these chairs once you sit down. Anything with the word “luxury” in the title is bound to be comfortable. This Cielo bean bag set will provide you with a chair and a lounger all in one. The faux linen material that makes up the outside of the bean bag is comfortable to the touch and provides a nice feel to the outside. When filled and ready to sit in, you’ll be able to get relaxed wherever you are, since the compact size of the chair and the ottoman makes it easy to find the perfect spot for it. Not all bean bag chairs come with ottomans. Most don’t unless you opt for a lounger specifically. That’s what makes the Cielo unique: it’s a lounge-chair combo. The back of the chair provides excellent back support, and having the option to stretch out your legs will give you ultimate relaxation. And because the ottoman is separate, this set offers versatility so you can find comfort the way you like. You might think that bean bags are the right size for kids or smaller adults. Think again with Big Bob. You won’t have to squeeze yourself into uncomfortable smaller bean bags anymore once you have the Big Bob in your life. The Big Bob bean bag chair looks like a classic armchair, which provides back support as well as a place to rest your arms. The armrests and structured back also will prevent you from falling off the bean bag, which is a risk with the classic spherical ones. The larger size will allow almost anyone to get comfortable. The sturdy material of this bean bag chair also means that it will last for years either indoors or outdoors. If you’re going for luxurious and comfortable bean bags, then this Lambswool bean bag is for you. The bean bag cover uses 100% pure Australian lambswool. It’s so soft that you’ll never want to get up, and the luxurious look of it will add class to any room. The leather base combined with the lambswool allows you to slowly sink into this bean bag without having to make any adjustments. The soft feel of the lambswool combined with the comfort of the bean bag itself will make it hard to go back to any other chair again. So if you’re looking for a luxurious, soft, classy, and comfortable addition to your home, the Lambswool bean bag is an excellent choice. If you can’t splurge on the lambswool bean bag, the Snow White bean bag is a great choice that still gives you that luxurious look and soft, comfortable feel. The Snow White is made with high-quality faux fur. The soft and shaggy faux fur is super comfortable and has the bonus of keeping you toasty warm on cold nights. Imagine sinking into a cloud of comfort with your favourite book and a steaming mug of hot cocoa on a cold winter’s night. It also looks high-quality: it will fit in well in any room, and even add a certain level of sophistication. This bean bag is also suitable for vegans who want the lush softness of a “fur” without having to use animal products to get it. The Snow White also comes in two different sizes, so you can be sure that whatever size you are that you’ll be comfortable. Last, but certainly not least, on our list of comfortable bean bag chairs is the Cocoon Bean Bag. We’ve given you some soft fur options, an indoor/outdoor option, and a faux linen option, but this gives you a luxurious suede liner. The soft suede is perfect for any season. The faux fur and lambswool can get a little hot, especially during the spring and summer. With the cocoon, you can have a luxurious and soft bean bag while staying at a comfortable temperature during any season. The high-quality suede will ensure that this bean bag will also last for years; you’ll have years of comfort with this bean bag. It’s also the perfect size for almost all adults, meaning you’ll be able to lounge comfortably no matter your size or height. Bean bag chairs are not only stylish and versatile, but they’re also comfortable. The key to finding comfortable bean bags is knowing precisely what you like out of a bean bag chair. Do you need something a little bit bigger? Do you want to be able to lean all the way back, lounger style? What about the material? Do you want something super soft and warm, or something more aloof and less lavish? 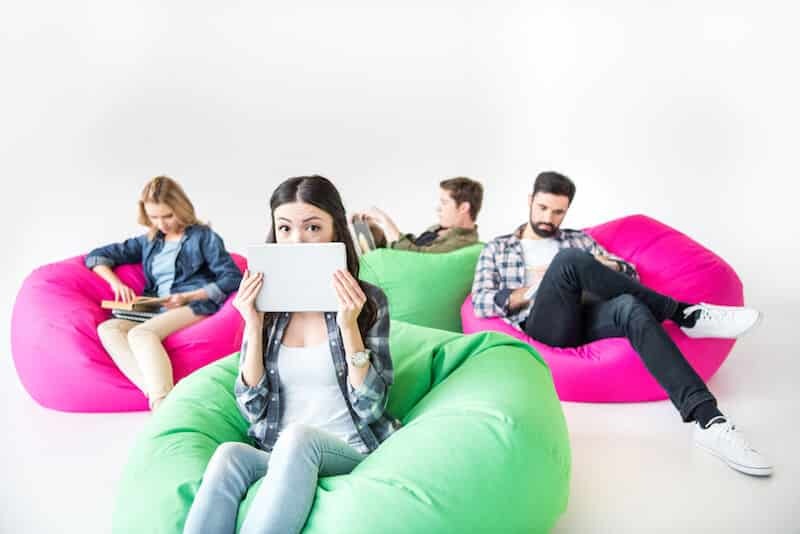 Once you decide the qualities you want out of your bean bag chair, all you have to do is pick one of the many fantastic options you have available to you. You can check out our website where we have all the best and most comfortable bean bag chairs available. If you have any questions or want more information on these products, don’t hesitate to contact us.